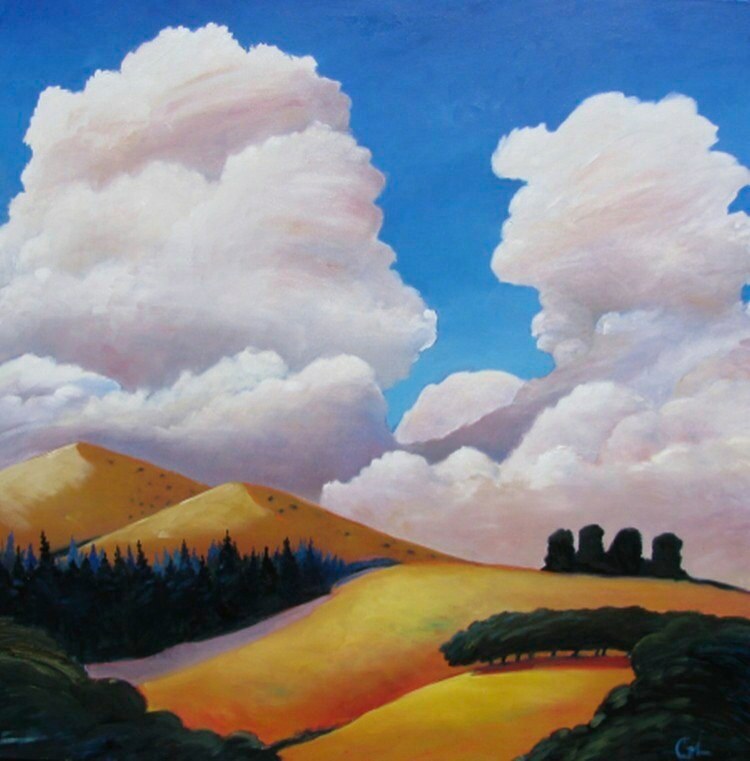 I am a native Californian (3rd generation), and I paint most often what I know best, the golden rolling hills of Northern California. 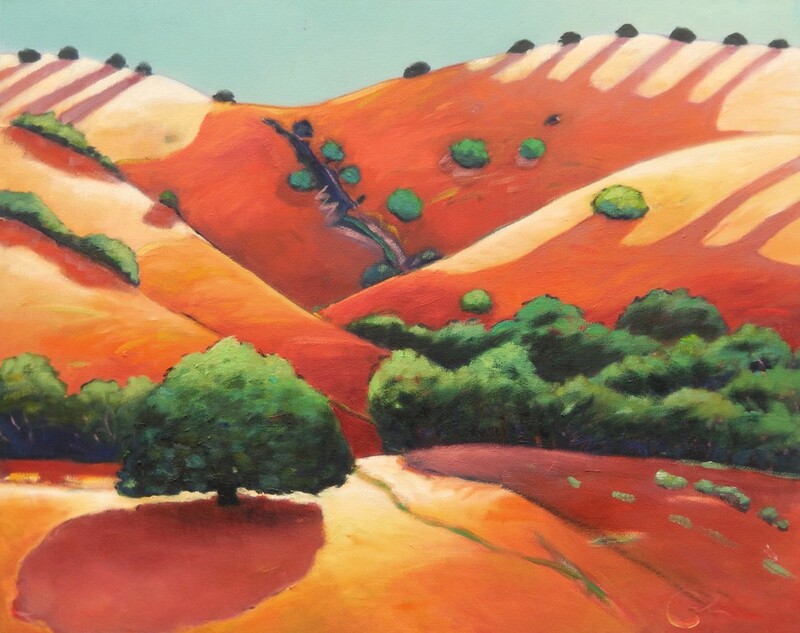 My oil landscapes originate with a visit to a real location, but as I work on my canvas, the painting itself is soon my focus, and I feel free to push color and orchestrate line to create a painting that speaks to me about what I saw and felt on location. A fellow artist calls my landscapes “abstracts” because they tend to stray so far from “reality”, but I do stray even farther, painting actual non-representational abstracts. I show both landscapes and abstracts.